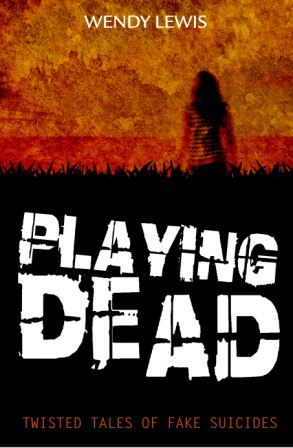 Pretending to be dead is one of the more bizarre ways to opt out of society. Despite the obvious risks, a surprising number of people attempt to leave their old life behind by staging their own death, lying low, then popping up again with a new identity. High-fliers facing financial ruin, murderers on the run, greedy couples with a taste for insurance fraud…you’ll find them all here in this entertaining collection of real-life stories of outrageous individuals who have tried – and failed – to play dead. 24 stories including Ken Kesey; John Stonehouse MP; ‘Canoe Man’ John Darwin; Olivia Newton-John’s ex Patrick McDermott + more. 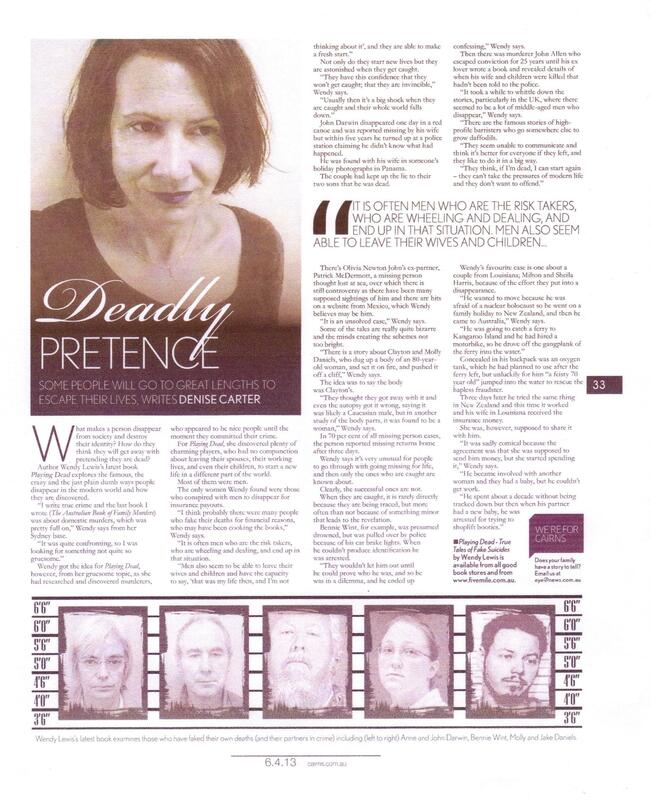 Playing Dead featured in the Cairns Post weekend magazine Cairns Eye (April 2013) in an article called DEADLY PRETENCE. Five Mile Press has re-invented itself as THE HOME OF KIDS BOOKS so it kinda makes sense that they no longer stock this title. Get in touch if you’re looking for a copy and I’ll see what I can do.